Ambient Heating and Air Conditioning supplies HVAC system services to the commercial businesses and residential homes of Hampshire and Hamden County, Massachusetts. We are completely licensed, certified, and insured to deliver fast, affordable, and professional services. Ambient Heating and Air Conditioning technician’s have advanced training, years of experience, and natural talents. Coupled with high-end products and equipment, exclusively offered to licensed professionals, delivers premium results to our valued customers. 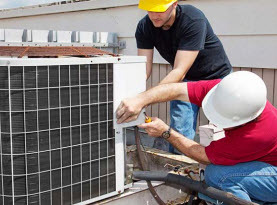 Among the many services Ambient Heating and Air Conditioning offers are boiler repair services to commercial businesses and residential homes. The boiler is a commonly used component of your home. With the constant use, and if maintenance services were neglected, your boiler will require repairs now and again. 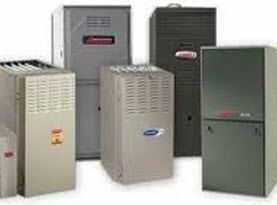 Ambient Heating and Air Conditioning technicians are well versed in handling the repairs of boiler problems. Common boiler problems across the homes and businesses of Hampshire and Hamden County, Massachusetts are as follows. – Pilot light. The pilot light is fairly common to require repairs. It’s usually due to a broken thermocouple, a buildup of deposits in the pilot light, or a draft blowing out the pilot light among other things. – No Heat/Hot Water. Generally the three primary reasons this is happening are 1) broken airlocks, 2) motorized valve failure, 3) water levels are low. – Kettling. Kettling is a lime scale accumulation that manifests on the boiler’s heat exchange. – Freezing on the Condensate Pipe. When the weather is severely cold enough, the condensation in the pipe freezes. If this occurs, the blockage formed will make the additional condensation backup into the boiler, causing it to shut down. – Pressure Loss. The usual suspect is a water leak within the system. – Frequent Boiler Shut offs. A number of issues can be causing this low water pressure, thermostat issues, or air in the system. – Thermostat Abnormalities. Especially true in older thermostats, they can experience less accuracy, temperature misreading settings, and/or self heating turn offs. – Bizarre Boiler Sounds. A common cause to the disruptive noises emitting from the boiler is air within the central heating system. This often comes across as whistling or gurgling sounds. – Dripping and Leaking. Boilers will leak for a variety and depending on where the leak can determine the cause; a detailed inspection is usually required to locate the leak. – Radiator Dysfunction. A good indication of this issue is when the radiator is warm on the bottom and not so much on the top, the air in the radiator is excessive and a simple fix. 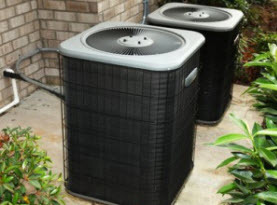 There are plenty of other issues and many other common problems that can inflict your home business’s boiler in Hampshire and Hamden County, Massachusetts that Ambient Heating and Air Conditioning are proficient with. With our expertise and experience we can evaluate the performance of the boiler and methodically locate the issue. With precision and care, our technicians rectify the problems and get your boiler functioning efficiently. 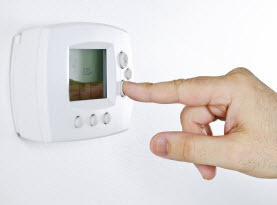 If your boiler is experiencing any issues and requires repair, call Ambient Heating and Air Conditioning today!